I’m 56 in April and especially as the years have passed, I’ve become more aware just how short life really is. When you’re 12 the idea that one day you will be 16 seems like an eternity away. Then the thought of hitting 21 seems so far into the future it’s not something you even think about. Before you know it though, you’ve passed 30, 40 and 50. Well, that’s my experience anyway, and the older you are the more the years seems to fly by. You can’t do anything about it but what you can do is make the most of every day, every moment, every opportunity. That’s what this week’s blog entry headline is all about. Whatever your age, don’t let the years pass you by. You might be a youngster thinking you’ve got your whole life ahead of you. That may be the case but before you realise it, it’s gone. Believe me, whoever coined the phrase ‘time flies’ wasn’t joking. Listen to the song on Spotify by clicking the link below. My fishing this week has been confined to short sessions. I’ve been very busy with other stuff and there was no opportunity to do anything other than flying visits. However, that’s why I bought my Poachers Pocket set-up in the first place. I’ve said it many times already and I’m sure I will say it again in the future – it’s been the passport to angling sessions that I wouldn’t have had otherwise. Being telescopic, it folds down to less than a foot, and combined with the mini-reel, offers the perfect solution to when time is tight. Along with some basic tackle I can easily put the gear in the boot and drop off somewhere on the journey. That’s what I do pretty much every time I go to Park Hall, the home of The New Saints FC, when I stop off at the Montgomery Canal. 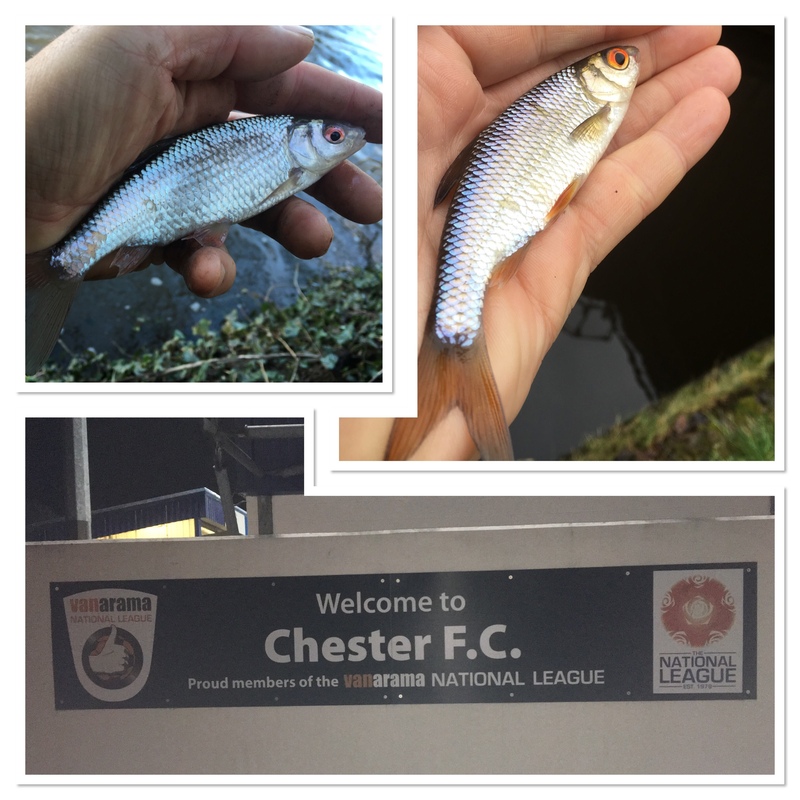 As well as the ‘Monty’ I’ve also fished the Staffs/Worcs Canal as well this week plus a couple of visits to a brook that has featured regularly in my blog over the last year or so. 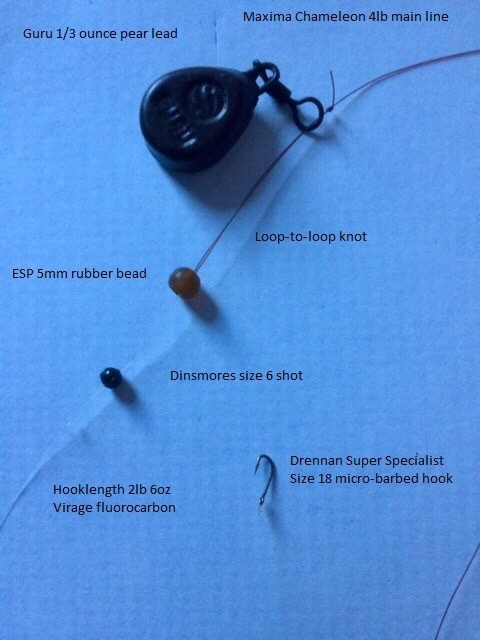 The rig is a very simple one and I’ve shared it in a number of entries recently but for anyone checking in for the first time, that’s it below. Simple but it works. Bait has been a single red maggot fished over loose maggots. I love the big stage with The New Saints and last weekend was the Welsh League Cup final. We’ve made the final for four seasons on the bounce and following the win against Cardiff Metropolitan University FC it is also four consecutive victories. Match days with the champions of Wales involves presenting and commentating on TNS Radio, which is what brought me into the club in the first place. Then there are the post-match interviews and other stuff around the game. I visited my 33rd new ground of the season so far when I went to see Chester FC v Hartlepool United during the week. I plan my diary carefully and as I was at Park Hall that day, it was only 26 miles to Chester. Then home afterwards, of course, but it was definitely a case of saving a considerable number of miles compared to if I had just gone to the game direct from where I live.